Perhaps Homer Simpson said it best, when he toasted, “here's to alcohol, the cause of—and solution to—all life's problems.” Everyone wants to have a good time on New Years Eve, but if you're one of those people who needs to drink so much you don't remember the night itself, then you'll certainly need a few of these great inventions to keep your buzz going all night long. This is the girl's equivalent of The Beer Belly. With the WineRack, you can make yourself look more sexually attractive and lower your standards at the same time! The best part is that as his beer goggles start to set in, he'll hardly notice your significantly shrinking bosom. If you're really lucky, maybe you'll even entrap him into a life-long love affair by getting knocked up that night. Holding beers while not drinking them is just plain lame. Your hand gets cold, your beer gets warm. And let's face it, beer koozies are somehow just emasculating. 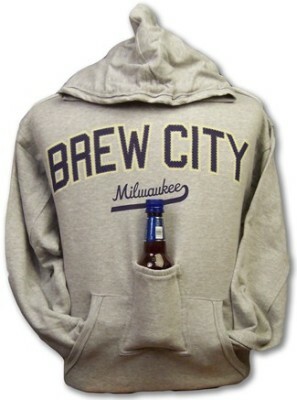 With the Brew City Arch Beer Pouch Hoody, you can get in a beer-fueled, drunken brawl without ever putting down your precious brew. Here's a great tool for someone who drinks crappy 12 ounce brews, but wants to pretend they're drinking a fine German Ale from a mighty pewter stein. 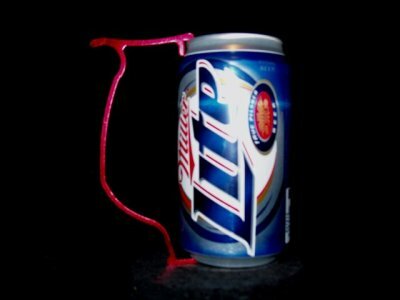 Just clamp the Beerhandle onto any 12 ounce can and walk around pretending like you have much finer taste than you actually could ever dream of having. Also a great gift for Renaissance nerds who can't afford a real stein for their mead. Bierstick is a brilliant binge drinking accessory that enables you to slam a nice 24 ounces of beer down your throat in a matter of seconds. Who needs braincells when you indulge in glorious alcohol without even having to swallow? And if you really want to get alcohol poisoning, why not just throw some vodka in this bad boy for that oh-so-painless death you've always dreamt of? Speaking of alcohol poisoning, how about a nice 64-ounce flask of pure tequila. 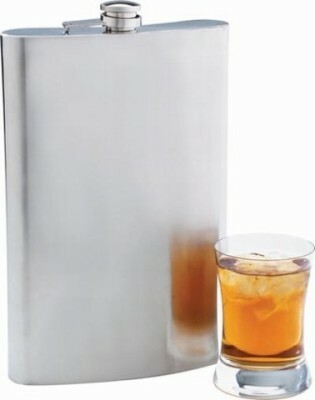 Sure, you could put beer or mixed drinks in here, but you know that will mean everyone will question your manhood. Better go with the tequila, even when you share with your friends, there's still plenty more booze to leave you not just on the floor, but in the hospital. 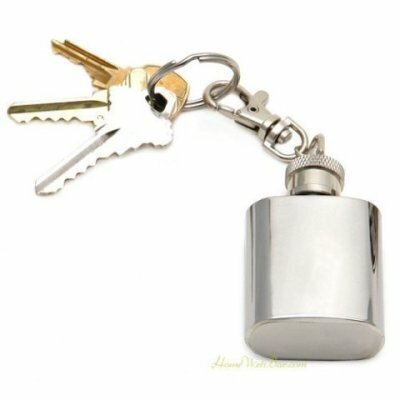 Nothing says “Officer, I would love a DUI tonight” like a vodka-filled mini-flask attached to your keys. Perhaps you're more of a whiskey-lover...or maybe you'd like to load your flask with illegal pills. No matter what the use, this little, tiny trinket is just begging to get you in majorly huge trouble. If you think the best part of drinking is to cover yourself in booze, your shower is ready to please. The Beer Shampoo gives you all the pleasure of rolling around in choice hops without that irritating, sticky, stinky mess. 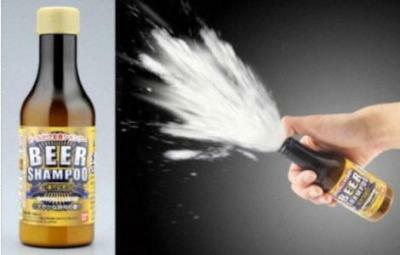 Just make sure you don't accidentally drink the shampoo, as bubbly hiccups can be rather embarrassing. Great idea guys, let's combine alcohol and vehicles! Not only can you die of alcohol poisoning, you can also crash and die...or you can kill someone else...or you can ruin your life by getting a DUI (you don't need to be driving a car, you know). 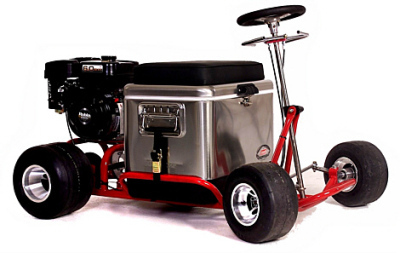 Think of all the opportunities availible to you with the Motorized Cruizin Cooler. What a great deal for almost $2000. Speaking of drunk driving, at every party, someone pushes the bounds of good taste and drives home way too intoxicated. Drunk driving is not only a social no no, it's also uber-illegal. So how do you make sure everyone stays until they're under the legal limit? 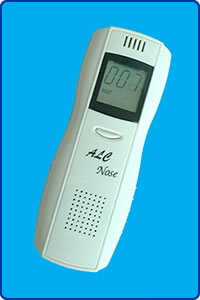 The only way is the Pocket Breathalyzer. Yes, I am aware that many booze-hounds will still use these to see who can get the most hammered, but the point is that you can also use these to keep people safe. On that tip, it's a great idea to have one on hand, it's the only drinking game that can help you avoid getting arrested or worse, killing an innocent person. So, after all the hard work you did scanning this article, are you ready to get a drink? Bugaboo Donkey Stroller: Making Life With Twins Easier? hilarious! Great job with this one! I want to die in a motorized cruisin' cooler!!!!! !